If you are searching for information about the Escapes! to the Gulf at Orange Beach resort, please be aware that this timeshare resort is now under new management and is known by a different name. 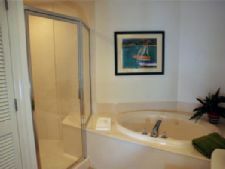 For consumers looking to buy, rent or sell timeshare at this resort, please click onto the following link at https://www.buyatimeshare.com/resorts/Festiva-Palm-Beach-Resort.asp for the latest information. 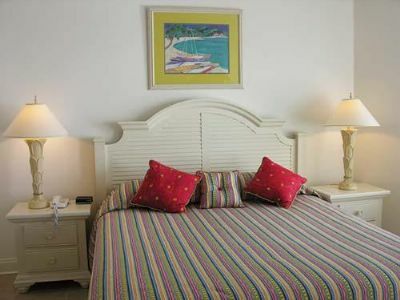 As the name suggests, Palm Beach Resort (formerly Escapes! 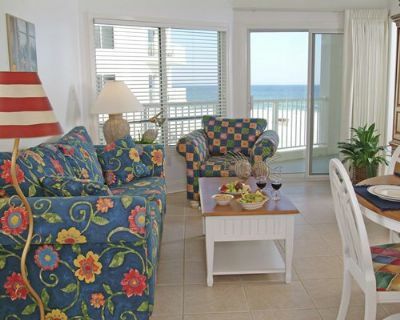 to the Gulf at Orange Beach) offers a secluded vacation experience away from the norm to incomparable expanses of sugar-white beaches and dunes on the Gulf of Mexico. 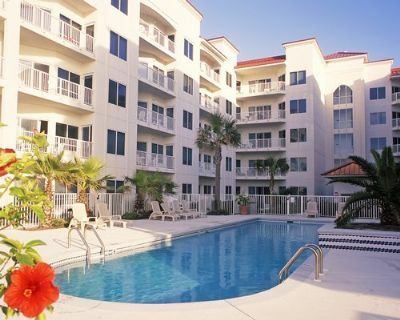 Visitors looking to buy, sell or rent timeshare resales whether lounging by the pools or relaxing surfside, you'll find our waterside location ideal for enjoying these soft sandy beaches. A central courtyard with two pools opens to the Gulf, offering a perfect vantage point from which to appreciate all the beach activities. The courtyard, which is richly landscaped with palm trees and other tropical plants, is linked to the beach by two boardwalks. Look inland and you'll find a number of attractions in Orange Beach and adjoining Gulf Shores. Theme parks, waterside restaurants, historic sites, signature golf and shopping are among the activities that bring families back year-after-year. 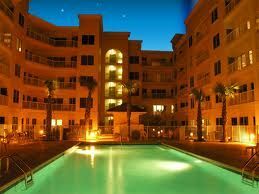 Our one, two and three bedrooms condominiums are right on the water and all units overlook the courtyard and pool area. Two boardwalks extend from the courtyard to the surf, putting you just steps away from this gorgeous beach! Contact Escapes! to the Gulf at Orange Beach Specialist Today!